Braves Concessions are our biggest and most valuable fundraiser. For the 2019 season, we will be running The Market at Suntrust Park. This fundraising opportunity brings money into the Sprayberry Band Booster Association's General Fund and gives parents an opportunity to off-set student fees. It's a great opportunity and we need you on board the CHOP TEAM! This fundraising opportunity brings money into the SBBA General Fund so that the Sprayberry Band organization can operate at peak performance, giving our students the ABSOLUTE BEST EXPERIENCE! Each game you work, a portion of the sales will be donated directly to SBBA where we can lower individual student fees and increase the general fund. Currently, volunteers and leads score Fundraising Points (FPs) based on the schedule below. Fundraising points are credits to your student's band account. You can knock those band fees out of the park even before the school year starts! Then start banking those points for next year's band fees! It's that easy! For more details contact our CHOP/Fundraising team. Every parent, adult family member or student can participate (student or family member MUST BE AT LEAST 18). Eighth grade student families are eligible and encouraged to participate as well. It's never too early to start contributing to your student's future in the Sprayberry Band. The Atlanta Braves have 81 home games from April through October for you and your family to choose from. This year, we have contracted for 54 games in April, June, July and August. With that many choices, you may receive enough fundraising points to cover your student’s band fees for the season. What an AMAZING way to pay your BAND FEES!!! Attend New Volunteer Training at SunTrust Park. The training sessions are listed in the TWIB and on the Sprayberryband.com website. You must RSVP to braves@sprayberryband.com to sign up – and you must have your valid Alcohol Permit! 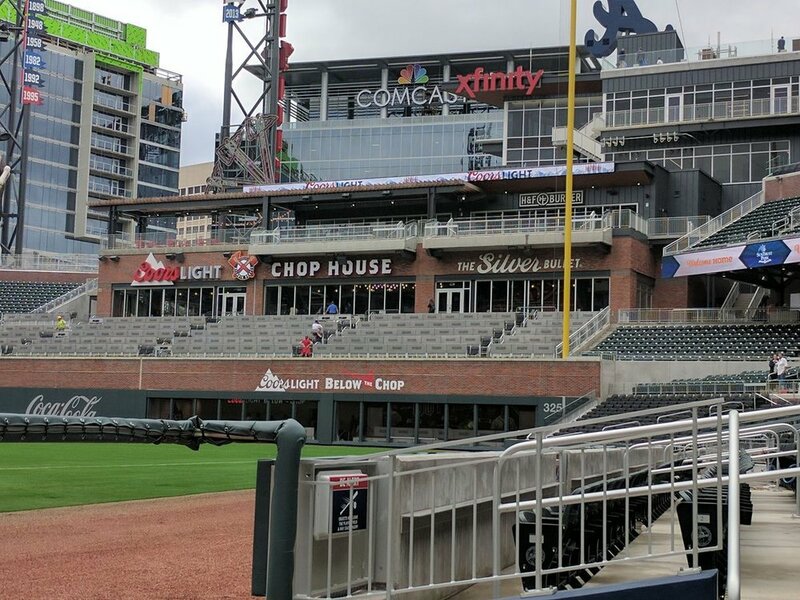 New Leads – Attend New Lead Training at SunTrust Park. The training sessions are listed in the TWIB and on the Sprayberryband.com website. You must RSVP to braves@sprayberryband.com to sign up! Once you have completed your training, you will receive a link to sign up for games on SignUp.com. Choose as many games as you want! The CHOP TEAM will send out a schedule for each home stand identifying the Lead, Volunteers and reporting times for each game. Select the student's grade for 2019-20 school year.